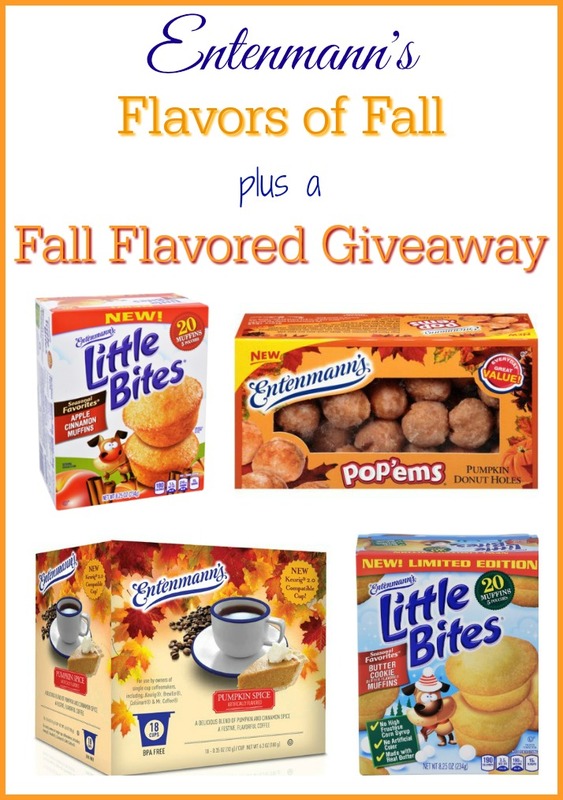 Entenmann’s Flavors of Fall + Fall Flavored Giveaway! The leaves are falling, Autumn is calling and so are Entenmann’s harvest treats! Every year I look forward to Fall with its colorful leaves, cooler temperatures and seasonal flavors such as apple and pumpkin. Down here in the South it’s still been in the 80’s, but that hasn’t stopped me from dreaming of cooler temps! Especially since not much beats a nice cup of steaming hot coffee and some delicious muffins on a cool Autumn morning. Well not much except winning an awesome fall flavored giveaway from Entenmann’s, that is – but more about that in just a moment! Entenmann’s® has long been a favorite of mine. I can remember my dad buying their treats for us when I was just a little girl. Today I buy them for my family, so we all can enjoy the delicious taste. Plus they are the perfect size for on-the-go. Speaking of delicious tastes…have you tried any of their harvest treats, yet? 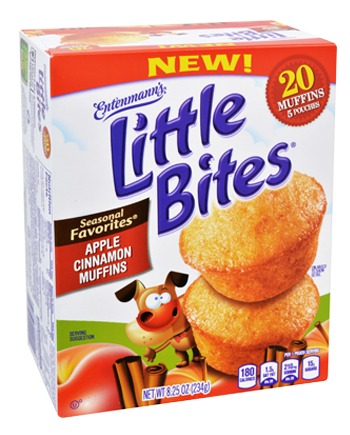 Another favorite is Entenmann’s Little Bites® Apple Cinnamon Muffins. Made with real apples and sweet cinnamon, they are the perfect snack for the fall season. Plus the pre-portioned pouches of delicious bite-sized baked snacks are perfect for today’s busy families. Everyone knows that the Entenmann’s name has stood for the finest quality in baked goods for years. Now that same commitment extends to the Entenmann’s single serve coffee selections.  Yep, you read that right! Coffee! 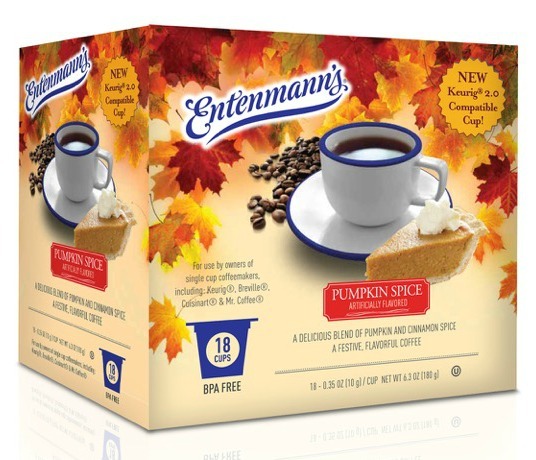 Entenmann’s now makes single serve coffee cups, available in several delicious classic, dessert and new harvest flavors! They are the perfect complement to Entenmann’s baked foods! Entenmann’s isn’t done introducing new products either! Be on the lookout for the newest Little Bites seasonal flavor, Little Bites® Butter Cookie Muffins! 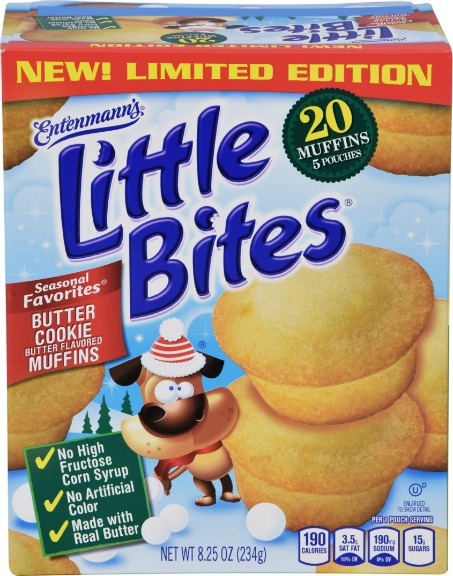 Everyone’s favorite holiday cookie flavor is now available in bite-sized muffins! These should be hitting shelves in your favorite store this month (November) to keep your family smiling all through the holiday season! Something else I love about Fall? 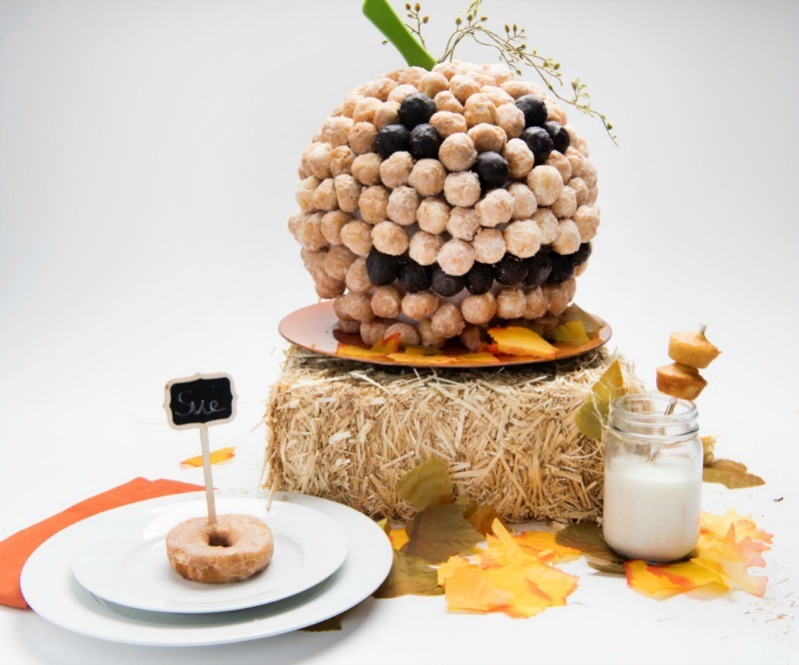 All the cute DIY crafts you can make like this fun Pop’ems Pumpkin using everyone’s seasonal favorite, Entenmann’s® Pumpkin Pop’ems, of course! Check out the video below to see how Maureen Sticco from Entenmann’s, has created this easy and fun seasonal DIY treat that explore all of the flavors of fall! I like the Pumpkin flavored Little Bites muffins. 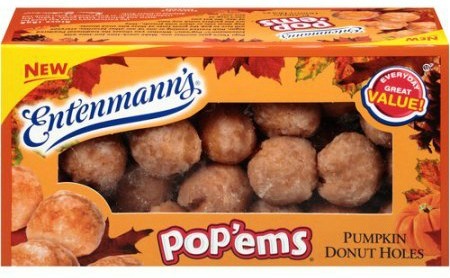 I had the Pumpkin Spice donuts last week from Entenmanns and they are the best tasting donuts I have ever eaten!! I love anything with apples and cinnamon in the fall! I like their snickerdoodle little bites. My favorite fall flavored treat would be the pumpkin spice Little Bites. I would like the Butter Cookie muffins. I like the Pumpkin Little Bites. I love the Entenmann’s apple cider donuts. This time of year I like the pumpkin pop ems. The are very easy to eat while I am driving to work. Unfortunately they are so good and easy to eat I end up eating more than I need to. My family and I love their Pumpkin Little Bites. I don’t really care for pumpkin or sweet potato. My favorite fall flavor would have to be the apple cider donuts. But my favorite Entenmann’s product is their NY Style Crumb Cake. I love the Snickerdoodle Little Bites! Pumpkin donuts holes, love everything they have but especially the pumpkin flavored things…appreciate the chance. I love their chocolate covered donuts. My favorite is definitely the Little Bites Butter Cookie Muffins! We always have Little Bites in our home, since we eat them for breakfast and for snacks, so the new seasonal flavors are always a great change! Hmm, may be Snickerdoodle Little Bites would be my favorite. They have a cinnamon/Fall flavor to them.